Obituary for Marion Naomi Williams | Beach Funeral & Cremation Services, Inc.
Marion Naomi Williams, 81, answered the Masters’ Call to receive her Angel wings on November 20, 2018. She was born June 17, 1937 to the late Lizzie and John Henry Williams in Norfolk, VA. She was predeceased by her daughter, Daisy V. Williams-Fisher; a sister, Florence Wood and a great niece, Talese Burke. Marion received her early education in the Norfolk Public School system. She was employed as a farm worker in agriculture for 30 years until she retired. Marion enjoyed spending time with her family and friends. She also enjoyed watching wrestling and game shows. Naomi was a person who would tell it like it is, no “sugar coating”. Her presence will be truly missed by all who knew and loved her. 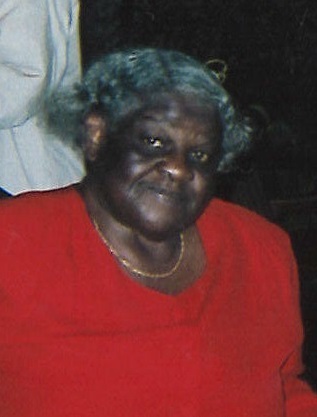 She leaves to cherish her memory, her son, Carlton D, Williams; three nephews, Larry Williams, Michael Williams and Harry Williams; one niece, Jeanette Burke (Kenny); and a host of great nieces and nephews, great-great nieces and nephews, other relatives and friends.